It’s almost that time of the year again! Where did summer go? It’s the time when students start signing up for their fall classes. It’s when freshmen start their orientations. I know my cousin just got back from his freshman orientation, and he was very excited to meet his roommate and get going in the fall. 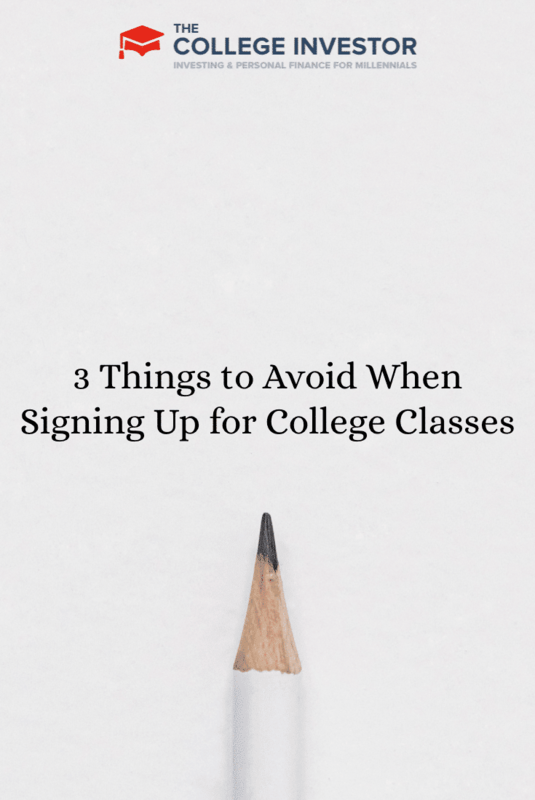 However, as fun as college can be, it can also be overwhelming — especially if you don’t know what to expect. So, I wanted to throw these three things out there for anyone thinking about choosing classes for the fall. It’s college, and you don’t need to always follow exactly what the “plan” is. Follow these warnings, and have a great time! And don’t forget to check out our 101 freshmen tips. First, you don’t always have to take classes in your major. In fact, I recommend that you try out a few different areas to discover what you really like. It can take time to figure out your major, so don’t trap yourself in something right away. If you’re planning on being an engineering major, try out some humanities, or maybe other science courses, and decide if you really enjoy engineering more. Plus, most of these other classes will still help you graduate since they will probably be required for your general education anyway. Next, don’t forget to have fun and do some frivolous stuff! In college, this can mean taking random classes just for the heck of it. Never done drama before? Take an acting class. Looking for something artistic and crafty? Maybe you should take a jewelry-making class or even a pottery class. Want something really different? How about taking an underwater basket-weaving class that combines both scuba diving and basket-weaving. That’s a challenge! Most universities offer these extracurricular classes for some credit, but usually only one or two. However, it can be extremely rewarding to have done it in the end. Finally, I have to promote this: Take a personal finance class or join a finance club. Once you graduate, you will be thrown in feet first into the realm of personal finance with your job, your living situation, and more. College is a great time to figure out the basics of budgeting, investing, and more. If you don’t know if there are fixed-term bonds available, or what an ETF is, then you should really consider taking a personal finance class to at least understand the basics of investing. A personal finance class can also teach you how to deal with student loan debt and other things to get you on a solid footing at graduation. 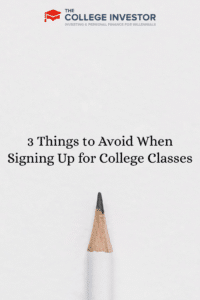 What other things should college freshmen consider when signing up for classes? In general I think people should take a broad area of classes to fully discover what they think their major should be. Many people’s biggest mistake is trying to figure out a major immediately. It’s much better to wait it out and expand your horizons unless you’re absolutely certain you know what you want to be one day. College is supposed to be an opportunity to explore everything. How else can you figure out what you want to do. I think it is great to try internships, discuss your interests with professors and don’t forget getting to know a lot of different students too. RATE MY PROFESSOR.COM!!! So important! Also if you can get into some sort of program to pick classes early like being in an honors program take advantage because as a freshman you are the last group to get to choose your classes. I never thought about tracking down a personal finance club. Maybe I can start one if there isn’t one in place already! This may sound strange but I don’t think people put enough thought into their class selection. I know, looking back, that I didn’t. One professor could be the difference in an A and a C. One elective could be same. One course could be the difference in graduating late or early. One elective could change your entire focus of study. It could change your entire life. When I was in college there was a great personal finance class taught by one of my best professor. I really enjoyed the class (not only because I had to take it) but because I learned a ton about personal finance. I think there should be a personal finance requirement for students before they graduate. I also took a fun/creepy class… entomology. I like the idea of a PF club….I did the first two! I was able to take karate (which eventually led to a black belt) and Old and New Testament studies. As an IT major those were outside my scope but fun nonetheless. I also brushed up on my Spanish and took a few music classes. Good times! I am in college currently and made sure to take some classes of interest to me as well. I’m really into fitness and taking some extra classes in the summer is a tip I’d give as well.